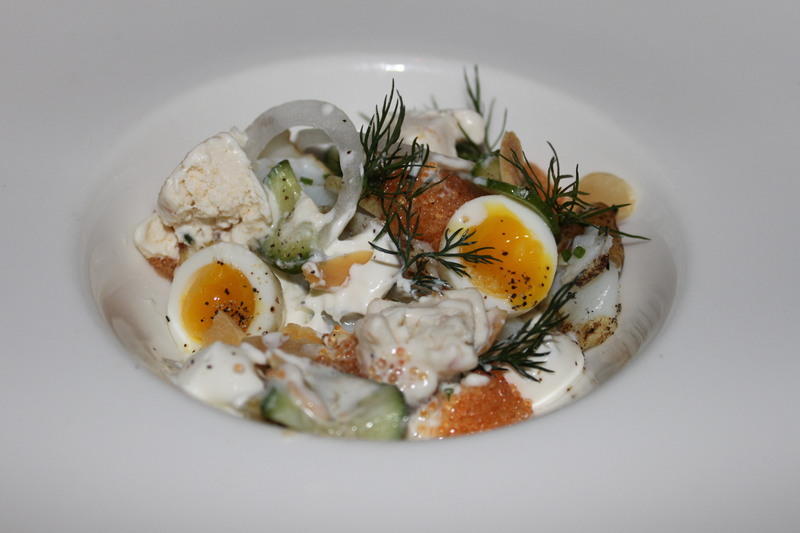 New York Times two-star rated restaurant Aquavit is run by Swedish Executive Chef Marcus Jernmark from Gothenburg. He has recently been ranked 2012 Top 5 rising chefs in the U.S. and samandthedunes managed to meet him for an exclusive interview. 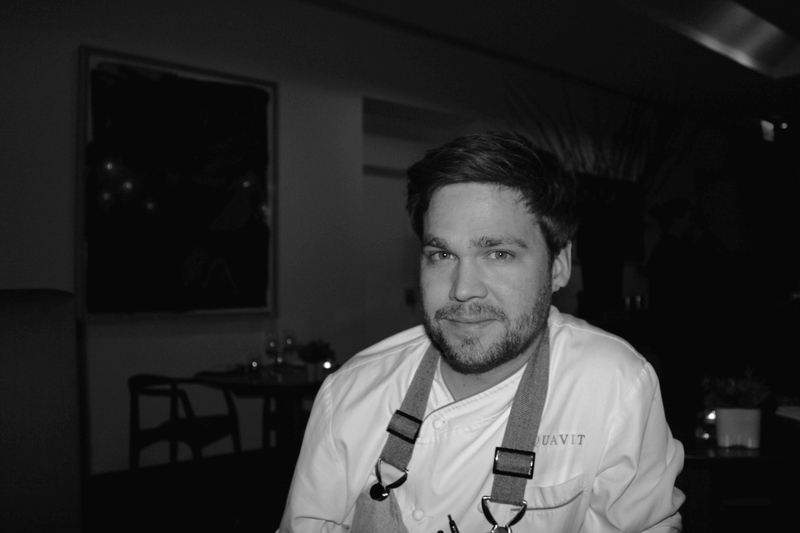 “I started working at Aquavit as an Executive Sous Chef in 2009 after my job as Executive Chef at the Swedish Consulate in New York. There I got the chance to cook for celebrities, royalty, politicians and over 25 Nobel Prize winners and it was a great experience,” says Jernmark. In April, 2010, after only six months at Aquavit, he got the opportunity to take over the role as Executive Chef after Marcus Samuelsson’s departure. To stand out among the many restaurants in Manhattan, Jernmark explains that Aquavit is not a traditional mid-town New York restaurant. “For example, we change the menu every day and I like to be spontaneous in the kitchen, play with new ingredients and see what happens,” he says. One of the Jernmark’s signature dishes is “forgotten beets.” “Yes, I once forgot some beets in the kitchen and the next day I experimented and the dish tasted even better,” says Jernmark. You will of course find many traditional Nordic fares on the menu like pickled herring, gravlax but also beef, seafood and some exotic desserts (how about Artic Birds Nest or Raspberry Cylinder). “Previously we only had a four course prix fixe menu but now we moved to a la carte which makes it more approachable,” Jernmark explains. Among the guests there are many celebrities, including First Lady Obama. “We try to be discreet so that everybody can enjoy a private moment in Aquavit,” says Jernmark. After the interview samandthedunes tried the New Jersey Asparagus, Gravlax 37C, Charred Icelandic Cod and Seafood “Norden 2012” and we just loved the unique, modern and clean tastes. The presentation was superb. We were even offered their fine selection of Aquavit shots with unique flavors of cucumber and figs. If you are looking for a first class evening in Manhattan and enjoy seasonal Scandinavian cuisine with an experimental touch in a classy setting, Aquavit is the place you should visit. Chef Jernmark shows why he has been ranked 2012 Top 5 rising chefs in the U.S. and will make your dinner an unforgettable experience. More news about Aquavit: A Michelin Star is Born!